Drone mapping can be a game changer for your business. Learn about why you should be making maps with drones and how to do it successfully. What kind of drone and software do I need? What does it cost? How do I make 3D models? Is it hard? These questions (and more) are answered in this initial episode about making maps with drones. [00:00:02] IAN SMITH: First of all I’m shocked ten thousand, ten thousand downloads of this podcast in less than 45 days. We launched on July 4th 2016 the day I’m recording this is August 15th 2016. That is with my really quick math 41 ish days to reach that point and I’m blown away. I’m so happy that you’ve got some value out of this podcast. The reason why I’m doing it and my biggest ask or hope really I can ask you to take something away from this. But if you’re learning something if you’re if it’s stimulating your mind around drones then I’m doing my job. I’m spending my free time wisely here and I really hope that this is just lived up to your expectations because I really don’t know what mine were. [00:00:57] All I knew was that I wanted to make something that people would actually listen to. My greatest fear was that no one would listen. I’ve been proved wrong. Thank you so much for doing that. I love when that happens but most of all for this so 10,000 downloads. Here’s to the next 10,000. Thank you so much for listening. Thank you to the guests could could not have done it without any of you. And it’s just a short little milestone in this long journey so hasn’t even been two months yet. So so humbled so so happy. Let’s kick it back over to the show. 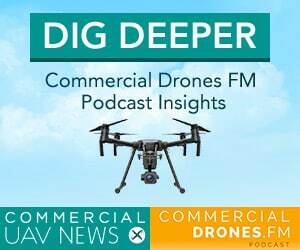 [00:01:32] [Introduction]: Welcome to Commercial Drones.FM the podcast that explores the commercial drone industry the people who power it and the concepts that drive it. I’m your host Ian Smith. 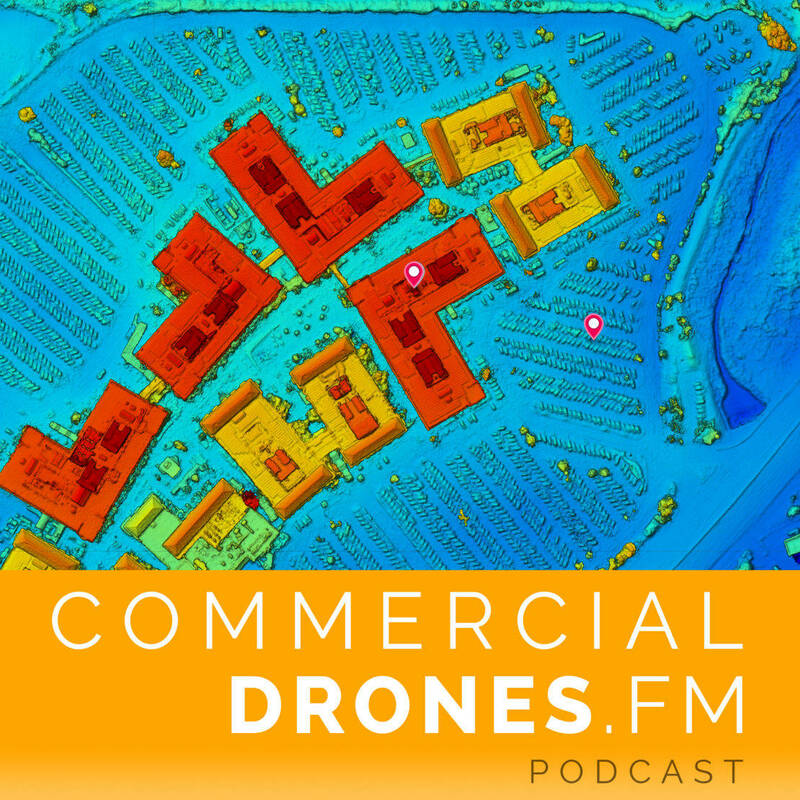 [00:01:45] IAN SMITH: Good morning good afternoon and good evening ladies and gentlemen Ian here with commercial drones FM and today we’re talking about making maps with drones. It’s something that we hear a lot about lately and a subject that I’ve learned a ton about over the past three plus years in the drone industry. So we’ll go over why what and how so why you should make maps with drones what you should make them of and how you should do it. How do you quantify results. What’s your ROI and what should you use. But first things first I just want to make one statement. I love making maps with drones. [00:02:27] Starting off like why should you make maps with drones. So the funny answer would be well because you can but honestly that’s really the best answer. I mean right now it’s so cheap it’s so accessible it’s 2016 there’s processes called photogrammetry which make this all possible. It’s basically just taking a bunch of photos of an object or of an area and then having these computerized algorithms stitch them together, we call it stitching the photos together. It’s not a very technical term but it gets the point across and it creates these results these maps that you’re looking for. But it’s it’s wouldn’t be so easy without the cloud. The cloud and you know the Internet basically just makes all of this popular so possible rather So instead of just having your own computer you know big clunky tower computer with you know thousands of dollars worth of hardware inside tons of RAM and a huge CPU and GPU.learning how to use it and configuring it all you can actually ‘leverage the cloud’ as is kind of what we say and what that means is instead of you know processing all your data on that machine that you’ve just spent so much money on and time acquiring. [00:03:46] You can actually just upload it like you would upload photos to Facebook and let someone else who’s invested a ton of money and time use their super computers their servers that are all networked together to combine into one network to process those images for you and a lot faster time than it would take. 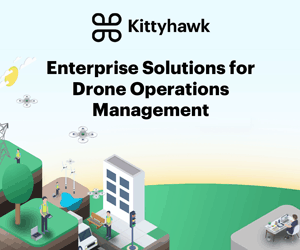 [00:04:06] And in a lot easier manner and you know this is just one of the ways that we’re leveraging these flying robots in the drone industry making maps with them. You know I would say nearly anyone, 95.02% of people can make drone maps and 3D models right now businesses are built on this on this theory on this concept. Companies have invested millions of dollars into making sure it can happen. So as long as you can set up a drone and tap a screen on a smartphone you can make an amazing aerial map and a 3D model better than what you would see on Google Maps. So there’s some very compelling reasons there lots of you know very inspirational ones. But there’s business cases too. [00:04:55] That brings us to the next section. What what should you make maps of why should I why should you be listening to me and what should your subject be. You know it really depends. I mean being able to make these maps with drones it’s like kind of like having a superpower being able to extend a ladder. Go go gadget legs and kind of look down on the surroundings straight below you at a specific point in time and very very high resolution. So you know first of all what are you what do you do for a living. What’s your what’s your main goal. [00:05:34] You know maybe you are a farmer Herb grower you know you have crops you’re trying to grow plants and vegetables and other kinds of you know cash crops over huge distances. They used to have to cover by foot but now you can send up a drone in your place to go ahead and check out and scope out the area. Maybe you’re a construction worker you need to monitor site progress so instead of walking around on the ground and then having this mental image of the the site’s progression in your head you can send up the drone and to create basically a snapshot in time of that entire site and then repeat that over and over. [00:06:13] Maybe you’re a mining company and safety is really important to you. And you know managing your assets and finding out how much and how many how much cubic or yards or cubic meters have been moved from one stockpile to a next or an event planner or even that does outdoor events that wants to create this this high resolution map in color of the entire event as it was showing you know exactly the color of the lighting that was placed all around the entire event for next year. It’s really cut down on costs and instead of having to manage a whole crew and tell them exactly where everything went. Or use an old school piece of paper and pencil to sketch it out to them you can just show them this map and then you know they know exactly where to place all the tables and the lighting and everything. [00:07:01] What if you’re a humanitarian worker and there’s refugee camps that pop up out of nowhere, favelas in places like Brazil they don’t really have addresses so you know being able to create these high resolution maps and knowing OK that’s actually someone’s house right there. What if you’re a reporter and there’s breaking news maybe there’s another oil spill or. Not a wildfire because you don’t want to fly around there but any kind of aerial any kind of situation where an aerial view would really help tell the story. A scientist an archaeologist documenting historical sites. There was a really cool story that I came across some some guy was documenting these amazing patterns on the ground that were made by no Native Americans or you know very very ancient kind of people that could actually still be seen from the sky today. [00:07:52] But if you’re on the ground you’d never be able to see them. You could be a roofer and you know extending those gadget legs is very helpful for a solar developer and you need to you know make sure that you don’t have to go on the roof all the time so you don’t break your neck or maybe even an insurance company and you need to process claims faster and more efficient. The point is is that anything you need an aerial perspective of even in 3D can be accomplished by using a drone to make a map. So what should you make maps of. I mean it really depends on what you need. High resolution same day aerial imagery of that can be interacted with and you can extract value from that imagery in a variety of ways the technology is ridiculous. [00:08:37] So what results. What’s why. You know once you do this what are your results. So number one it would it would be an ortho mosaic. This is kind of like the 2D image. This is the Google Maps image that is produced by drone mapping. So what is an ortho mosaic. Well it’s essentially it’s stitched together ortho rectified imagery. And what that means basically ortho reft rectification is the process of removing the effects of image perspective like tilt and terrain effects for the purpose of creating a plan of metrically correct image. So the resulting ortho rectified image has a constant scale wherein the features are represented in their true positions. [00:09:20] To illustrate this imagine if you’re on a plane or actually maybe you’re standing on the top of a tall building and you take your camera out of your pocket and you point it straight down towards the ground and take a picture straight below the very center of that camera you’re going to be able to see if there was an object you would see straight down right on top of it as if your eyes were just looking straight down and you would just see if there was another building you just see like the top of the roof and you wouldn’t see any sides. But if you look on the kind of the edges of that picture the outer rim of the picture you’re still going to capture some other buildings in that image that you took from the skyscraper and you’re actually going to see the sides the walls of the building. The perspective is going to be tilted you’re not going to be able to see straight down. [00:10:07] So what ortho ortho rectification does is take all these photos that have this perspective and then stitches them together with photogrammetry to create the ortho rectified image whereas the entire image is one perspective straight down and that puts everything on the same scale and it allows you to take action on that imagery and some of the actions that you can take are doing calculations and things like volumetrics you know what if you want to make a drone map and then measure how much volume a pile of dirt is on the construction site or how much water would I need to fill this giant hole. I’m just going to make a huge swimming pool. Sounds like fun measuring distances accurately, areas. [00:10:54] So the area of you know a kind of a polygon you can draw on top of the map or getting the profile of elevation even the slope. So you can calculate slopes of roofs and and the terrain and even you know GPS GPS coordinates of points but you can also get elevation models kind of the lay of the land a color coded to the map that allows you to see where the high and low points of a specific parcel of land are and generating contour lines for surveyors and construction projects 3D models of real estate. So if you want a super high high resolution photo realistic model of a building you can easily do that with a drone today agricultural plant health. 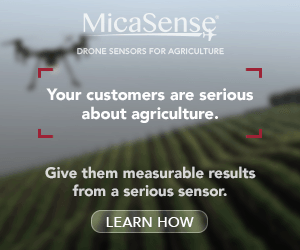 Maps so you can use specific sensors or you can even just use the regular sensor that the drone comes with to start extracting value from that drone map as a grower or a farmer. And identifying areas where you might need to actually go investigate on foot at the further level these agricultural plant health maps can actually be used to generate like variable rate prescription maps for smart application of pesticides and fertilizers. So instead of just putting one full application you know one uniform application across a whole field of fertilizer you would want to you know be able to do it in in little sections. You know identifying the specific spots that need it more than others and that’s possible with drone maps so the list goes on. [00:12:25] You know it all comes down what will you do with this power the super power that you all of a sudden have the next section is how do you. What do you need in order to accomplish this. All you need is a drone and a smartphone. [00:12:40] So right now I just checked on Amazon Amazon US for for 150 bucks you can start making maps today and you can have it at your doorstep in two days. Everything that you need if you don’t already have it. A better budget would be a thousand bucks but it really just depends on what you need. And you can go all the way up to five six seven eight ten grand 15 grand or whatever. But I’m a huge proponent for you know the kind of value that you get from these lower cost drones so for the $450 ultra uber conservative package you would get a DJI phantom 3 standard for about 400 bucks and then use a smartphone and you could probably pick one of those up for 50 bucks so all of a sudden you got everything you need you probably got one battery and there you go. You’ve got the drone and you’ve got the smartphone or smartphone you already have and you can do this for under 500 bucks and start making maps even for free. [00:13:39] So the next thing that you need to know is that the reason why I recommend a DJI drone is because number one they’re very affordable they’re very reliable and they come with great sensors great cameras on those drones. Since we’re using this process called photogrammetry to create all these results we need to have a good camera to take those photos to create those images so that we can process them with the photogrammetric algorithms into all of those different outputs that I mentioned the ortho mosaics the elevation models and 3D models you know quad copters that DJI makes are so much easier than fixed wing drones than straight regular airplanes. [00:14:20] You know another thing that DJI does well is these days they don’t use any fisheye lens is on their cameras. So when I say fisheye picture a GoPro and whenever you see an aerial photo or just pretty much any photo from a go pro you’ll see that the horizon and sometimes it’s kind of warped. This is not good for photo gravity because the algorithm has to correct that. So it’s like an extra layer of preprocessing that happens before the imagery is fully processed. And it just introduces a lot of artifacts into the final result that you don’t want so huge recommendation for DJI drones from me. I have seen insane results from them and I’ve seen Fortune 500 so many Fortune 500 companies use these affordable DJI drones and you can spend you know as much or as little as you want on those. [00:15:11] The next thing of course that you’ll need kind of mentioned earlier is a smartphone or a tablet so you can use an Android phone or an iPad or an IOS or an iPhone itself and just download an app. That’s literally what it comes down to. 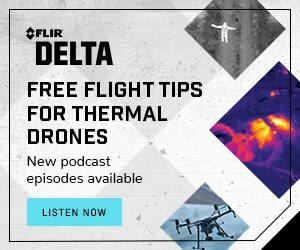 So now you’re just connecting your smartphone or tablet to the Dejah drones transmitter and then you download the app start it up and you press go. And that’s pretty much it. Some of the apps that I’m going to tell you about now and how to accomplish that. I just need to give a little bit of disclosure. I do work for a company called drone deploy which is a cloud based drone mapping company and they are not paying me to do this. [00:15:55] This is again on my own free will my own budget my own accord so I’m a little bit biased here because I know the inner workings and I know what’s going on behind the scenes but I’m going to do my best to just be as unbiased as possible so you can use an app like drone deploy to download for free and start mapping for free with your drones so if you have the above equipment the drone and the DJI drone which has the software development kit that all of the companies that I will list following drone deploy work with then you can download their apps and start flying your drone with them. So with drone deploy for instance you can start for free and then you can start making maps immediately. One of the reasons why I’d recommend them lots of acres mapped over five million acres mapped by tens of thousands of drone deploy users across more than 130 countries. So lots and lots of experience there really solid unique feature set for a variety of industries. And plus I work there so I can give a pretty good hearty recommendation for that. [00:17:00] Another one that you might want to check out and that a lot of existing drone mappers really really stand behind is a company called Maps Made it Easy. They also sell drones through a company called drones made easy. They have an app as well. They do cloud processing as well as drone deploys. You just upload all your photos when you’re done with your with your drone flight. And so their servers and their processed for you automatically. They’re a really solid option. People really like them. [00:17:28] They have a little bit of a different pay structure than Drone Deploy that some people find attractive. It’s kind of like a pay as you go model whereas with Drone Deploy it’s more of a subscription based model. The third piece of software that I’ll kind of recommend here is pix 4-D. I mean they’re kind of like the industry standard. They might have started this whole photogrammetry craves or really spread it quite fast across the world they’re a Swiss company. [00:17:56] They do require that really beefy computer in order to process all your imagery so you need a very powerful computer. But the advantage there is is that you have a ton of control over your final results. You can change all the settings. You can do so much things with pix 4-D that you can’t really do with a lot of these cloud based pieces of software but the cloud software really is catching up very fast. So it’s kind of it really depends like if you’re already ingenious if you’re in the geographic information systems industry or your surveyor and you have access to a really powerful workstation computer you have the pix 4-D demo shop you’ll probably probably like it a lot. If you really like to kind of tinker around with all the settings and learn a lot of stuff. [00:18:45] Then there’s some other more unproven options out there like Sky catch and a company called Data mapper. So that’s really it that’s really all you need to do in order to create maps with drones. t’s very very easy. Don’t be intimidated by it. You just need to know to follow all the local and federal regulations. I can’t stress that enough. Always fly safe but definitely let me know if you have any questions. I kind of glossed over a variety of topics in this podcast but I want to go deeper in specific ones like agriculture and construction and really kind of dive deep to extract the value that others are getting from it to display to you. And if you want to be notified when I do that would be great if you subscribe to the podcast. Shoot us a rating while you’re at it on iTunes or Google Play, you can you can go ahead and leave a review as well and follow us on Twitter @dronespodcast and Facebook.com/dronespodcast. So stay tuned. Thanks for listening. Y’all are the best. Cheers.